A year ago, Justin Schultz was being called one of the worst players in the National Hockey League. It was said that he lacked motivation. His skating was poor. That he couldn't hit the broad side of a bright pink barn with a shot let alone a net. Fans in Edmonton criticized Schultz as not "developing" as a defenseman should. When Schultz became a member of the Edmonton Oilers, the hope was he would be their version of Kris Letang. The "go-to" defenseman. The man that would be called upon to play thirty-plus minutes per game and be in consideration for the Norris Trophy for Best Defenseman in the NHL within a year. The problem with that plan was this: Justin Schultz is not the same kind of player as Kris Letang. He is the type of defenseman built to play a maximum of (maybe) twenty-five minutes while making scoring (and life) difficult for the oppositions forwards. Schultz is also someone that can be an asset offensively when paired up and coached correctly. In his new role with the Penguins, Schultz has become a well-rounded threat, able to both score when the opportunity presents itself as well as break up plays and get into shooting lanes to prevent shots on goal. This was not the case with the Oilers. In 2014-15, Schultz would score only six times, have 25 assists, and his plus/ minus rating was -17. In 2015-16, before Schultz arrived in Pittsburgh, he had only three goals and seven assists over 45 games played. That adds up to a whopping ten points. His plus/minus rating tanked to a -22 and his confidence level fell even lower. Overall, Schultz was a -78 over 248 games played while with Edmonton. To say the man needed a change of scenery (and a full mental reset) was an understatement. With the injuries piling up and needing some depth at defense, General Manager Jim Rutherford made a trade offer. 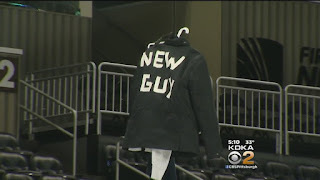 He had just pulled off the deal of the century when bringing in Trevor Daley, but another piece was needed in order to bring the entire team puzzle together, finish the season strong and prepare for a deep playoff run. One draft pick and a signature later, the 26-year old Schultz was on a plane to Pittsburgh, smiling from ear to ear, while a certain publication in the Great White North called the Penguins' organization "insane" for trading for him. pairing for much of remainder of last season. Schultz assumed his new role gladly, and game after game, grew more confident in his abilities and aided the Penguins in the eventual Stanley Cup Championship victory, something that he would not have fathomed happening when the season started. After some experimenting early in the current season, Schultz and Cole were paired once again and have stayed that way since the beginning of November. It has paid dividends for Schultz who has done a complete 180 degree turn. In fact, it is like he is entirely new player. With the pressure now off of him to be "the guy", Schultz's game has drastically improved. He is not only making good defensive decisions, he has turned his hand to being more offensively minded. As of December 17, Schultz has five goals and 13 assists over 32 games. His plus/minus stands as the second highest in the NHL at a +18 (just behind Ryan Suter). His eye for scoring opportunities and well as his ability to generate changes off his booming slap shot earned him a slot on the second power play unit which is also beginning to click more consistently. Against the Boston Bruins on December 14, Schultz had another multi-point game. He would add another point (an assist) on December 17 when the Penguins faced the Toronto Maple Leafs. He now has 18 points overall. This resurgence in his game, along with the boost in confidence, has made Schultz a new force on the Penguins' blue line. 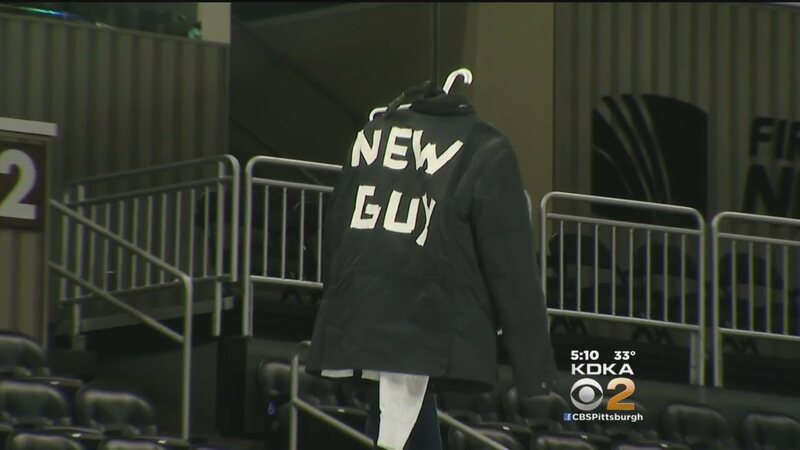 That will come in handy with both Kris Letang and Trevor Daley now out with injuries and said to miss "a couple of weeks" (Head Coach Mike Sullivan). With Derrick Pouliot and (surprisingly) Chad Ruwedel recalled from Wilkes Barre, it will be interesting to see if Schulz remains with his partner, Ian Cole, and keep the chemistry rolling or if he will be moved up to play with Brian Dumoulin. Speaking of Trevor Daley, if Schultz can continue at this new level of play, management is going to have a big choice to make come off season. Schultz is only signed to a one-year deal and Daley is a restricted free agent at the end of the 2016-17 season. The club is going to be hard pressed to keep both and stay under cap when you have players such as Olli Maatta and Kris Letang eating up four and (just over) seven million dollars in cap space, as well as Connor Sheary, Brian Dumoulin, Chris Kunitz and Derrick Pouliot needing qualifying offers come seasons end. GMJR is a mathematical genius, albeit, a risk taker at times, but not even he can work out the numbers to keep every single one of those players and more. With the season half over and trade deadline just over two months away, a close eye is going to be kept on Schultz, and with Daley missing significant time, it is Schultz's time to really shine. Should the Penguins trade for a top-4 defensemen in a push for back-to-back Cup championships, it could send wheels in motion to say farewell to the lesser performing player when the 2017 game calendar comes to a close. There is no reason why Schultz cannot keep this level of play up of an extended period of time. Granted, with some temporary personnel now in place, it will take some adjusting to make sure the Penguins can still keep their winning ways alive and not fall out of the top three in the conference. 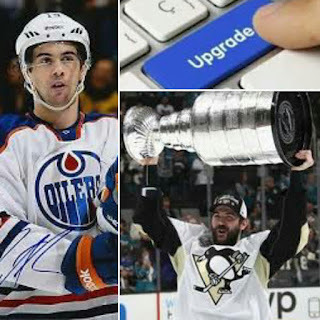 But with a coach like Mike Sullivan, and the staff and players behind him, the Justin Schulz that was an Edmonton Oiler is only a mere shadow of the Justin Schultz that has now become a defensive threat for our Pittsburgh Penguins. With the hope that it continues, Schultz may be able to call himself a Penguin longer than most people expected...as long as the price is right.